For years, success in creating an artificial meniscus has eluded researchers. A functional implant could dramatically improve the quality of life for millions of Americans living with arthritis or whose cartilage has been worn away, helping this population to better absorb painful shocks and stiffness that is associated with these conditions. Currently, there is no effective treatment for a torn meniscus in the knee apart from complete removal, which has been shown to dramatically increase arthritis risk. Now, according to Melinda Beck of the Wall Street Journal, we may be close to a solution. There are at least two efforts underway that could eventually serve as a substitute for the human meniscus. 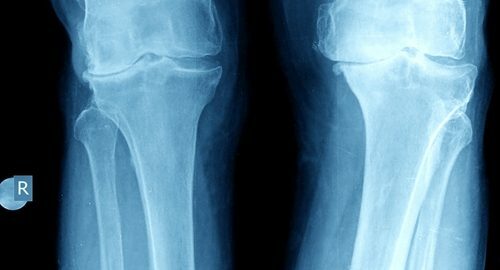 Scientists from Cornell and Columbia universities tested a new procedure for growing a new meniscus inside the knee joint with the use of stem cells and 3-D printing. A customized 3-D printed implant is infused with human growth factors that send signals to the body to regenerate the meniscus. The technique has so far proven effective in sheep, and will likely advance to human trials. In a separate effort, medical device manufacturer Active Implants has developed the Nusurface meniscus implant, which according to the company's site, is a "self-centering, interpositional, medial meniscus implant intended for use in patients suffering from joint pain associated with loss of meniscal function." Drake Ross, a 54-year-old bank examiner in Columbus, Ohio, who is a self-described avid runner and martial arts enthusiast, had the device implanted in his knee earlier this year. He had a torn mensicus in his right knee repaired in the current common practice, and received the NUsurface implant in the left. When asked if he would attempt the NUsurface implant again, Ross told local media "Absolutely. Down the road, I know my left knee will wear much better than the right one." He explained that the NUsurface had a longer recovery period, but now feels stronger than his right knee. Clinical trials for this device are currently underway. According to the American Academy of Orthopedic Surgeons, more than 4 million Americans sought treatment for meniscus tears in 2009, the last year this data was available. With a major demographic shift approaching, and 10,000 Americans turning 65 every day, demand for cartilage repair procedures and related devices is expected to increase dramatically. As may be expected, there are a number of other efforts towards addressing this condition. In the clinical trial stage, the precise measurement of cartilage damage is crucial for proving efficacy. Medical Metrics supplies expert medical imaging services. With the use of proprietary imaging technology and the insight of the preeminent thought leaders in cartilage repair, Medical Metrics is an ideal provider of imaging core lab services for orthopedic clinical trials.